Zapier connects our API to other APIs and saves you needing to code an integration yourself. 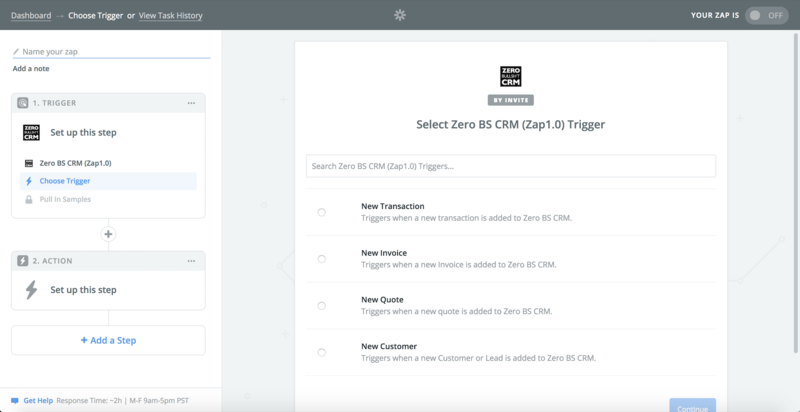 Create ZAPs which fire when new contacts, new transactions, new invoices are added to your CRM. Do things you wouldn't normally do. Add all new contacts to a Google Sheet, tweet out about new additions, and more. Zero BS CRM and Zapier. If you cannot find the extension integration you are looking for, then using Zero BS CRM and Zapier may give you just what you need. Connect Zero BS CRM to thousands of others apps and services. 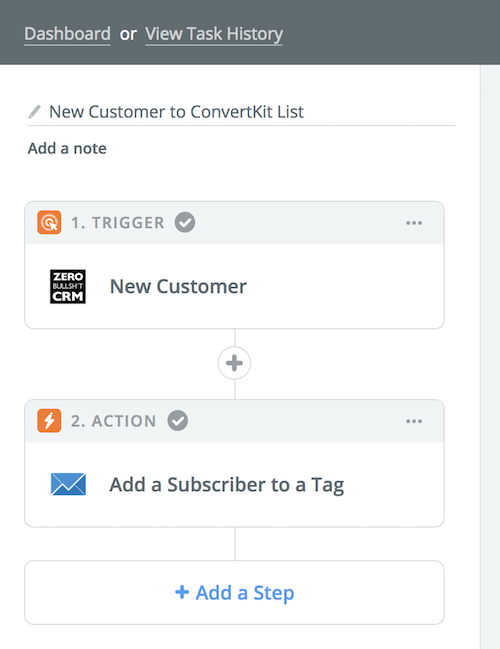 Configure your Zapier to be able to fire on new contact additions, or create new contacts on the back of other events. A perfect solution if you want to run additional tasks to and from your CRM when things happen. If you have a Zapier you are using which we do not offer an integration for, let us know about it, we may be able to develop a built in solution which would save you space (and cost) in your Zapier account. Zapier is a great way to connect your install of Zero BS CRM with thousands of other apps. Our Zapier integration is currently private invite and only available to our Entrepreneur and Reseller bundle customers.